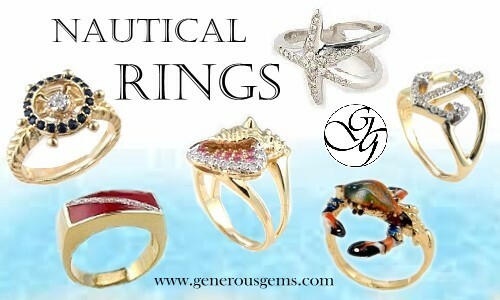 Nautical Rings and Toe Rings 14k gold nautical themed rings and toe ring jewelry are great gifts for any lover of the water! Whether you enjoy a peaceful day at the beach, or prefer to be out on the ocean or lake, our nautical themed jewelry is fun for everyone to wear. From dive flag rings to seashell and starfish toe rings, these are gorgeous ways to preserve memories made by the water.